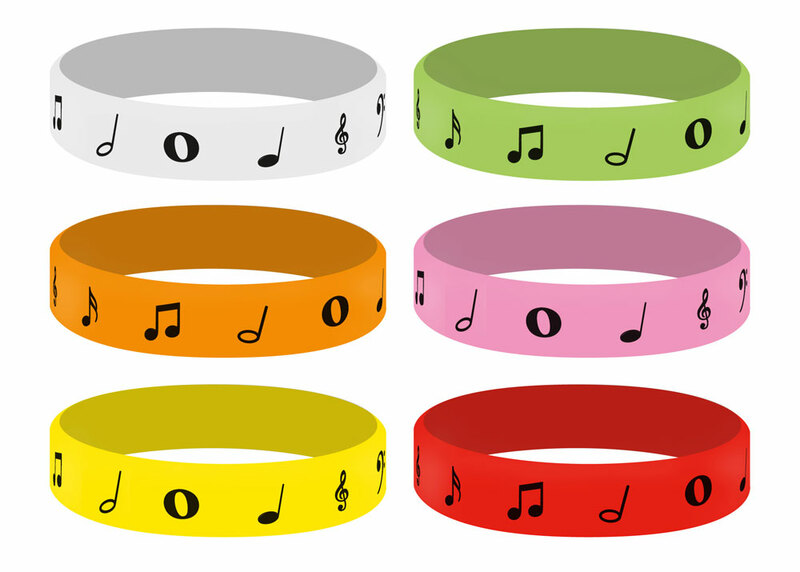 Silicone 2.25" Dia Bracelet with black imprint of music symbols. Band is 1/2" wide. The bulk bag of 12 pieces contains two of each color. We do not offer a color choice in this offering. Expands to fit most wrists. Choose your quantity selection at the right before adding product to the cart.